Most people probably don't think of beavers until one has chewed through the trunk of a favorite tree or dammed up a nearby creek and flooded a yard or nearby road. Beavers are pests, in this view, on par with other members of the order Rodentia. But a growing number of scientists and citizens are recognizing the merits of these animals, science writer Ben Goldfarb explains in his new book Eager. Beavers are industrious architects, key engineers of healthy ecosystems and a potential solution to a host of environmental problems. Neither the American beaver, Castor canadensis, nor its Eurasian cousin, C. fiber, are endangered. But by the 20th century, both species had been wiped out from many parts of their ranges, Goldfarb writes. The animal's luscious, thick fur - with up to 126,000 hairs per stamp-sized patch of skin - was prized by hatmakers. Hunters and trappers killed beavers by the hundreds and thousands for their valuable pelts. To picture the scope of the damage, consider the haul of the Hudson's Bay Company in 1875, its biggest pelt-trading year: The company took in more than 270,000 beaver furs, largely from Canada. With this level of hunting, whole swaths of continents were left bereft of beavers and their buildings. Beaver dams are more than just stoppages for waterways. "The structures come in an almost limitless range of shapes and sizes, from speed bumps the length of a human stride to a half-mile-long dike, visible from space," Goldfarb writes. The lodges, dams, burrows and other structures offer the animals shelter from predators and weather, as well as storage for food. And the structures turn fast, narrow streams into swamps, wetlands and marshes that host a wide range of wildlife, from fish to insects to birds. These aren't classically pretty ecosystems, but they are incredibly diverse and provide benefits such as water storage and pollution control. Restoring beavers to landscapes where they've been missing could help with many environmental problems, Goldfarb says. 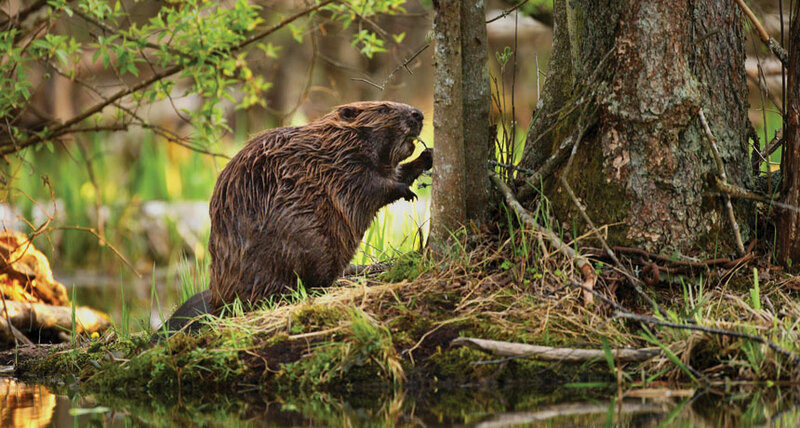 He describes how beavers can help landowners survive drought and flooding, and provide shelter for young salmon and other economically valuable fish. Beaver structures also trap pollutants and excess nutrients before they cause problems downstream, and perhaps even trap extra carbon in sediment and plants and thus help mitigate climate change. Goldfarb backs up these benefits with a pile of scientific studies. Still, he notes, ranchers, farmers, politicians and others can be hard to convince: When beaver and landowner interests collide, some people are still more likely to grab their guns than call in a beaver control specialist (yes, they exist). In some localities, there are even conflicting policies, some promoting beaver restoration and others encouraging beaver eradication. But despite those challenges, conservation efforts have been successful, and beaver populations are on the rise in many places where the animals had nearly disappeared. Goldfarb's writing shines with beautiful language and colorful stories - like that time dozens of beavers were air-dropped into Idaho in one of the most successful beaver restoration projects in history. That tale and others make Eager an especially pleasant read. The mountains of evidence of beavers' ecological benefits provided within the book's pages just might make a "Beaver Believer" out of you.